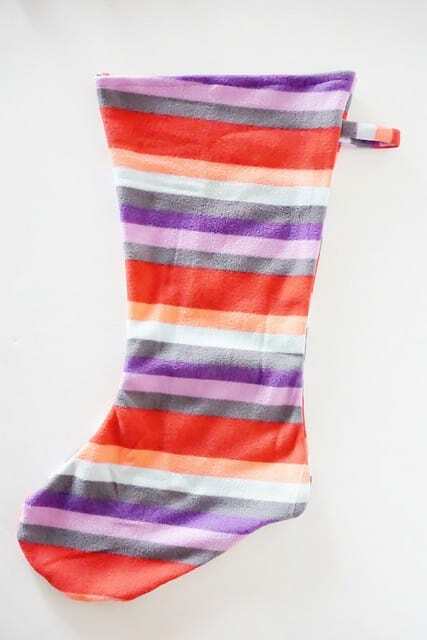 This easy DIY Christmas stocking was made from an old pair of fleece pants. 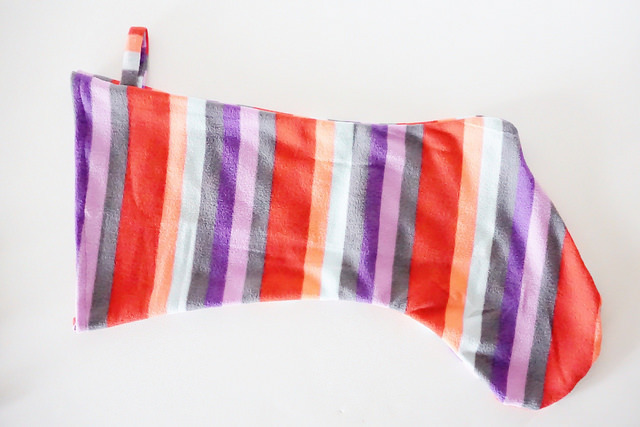 You can sew it up in about 15 minutes! 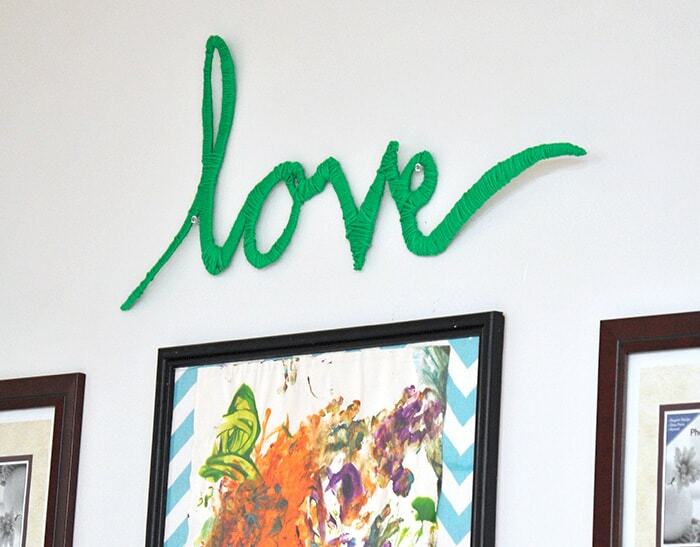 So colorful on the mantel. Hi, this is Amy from Maker Mama. 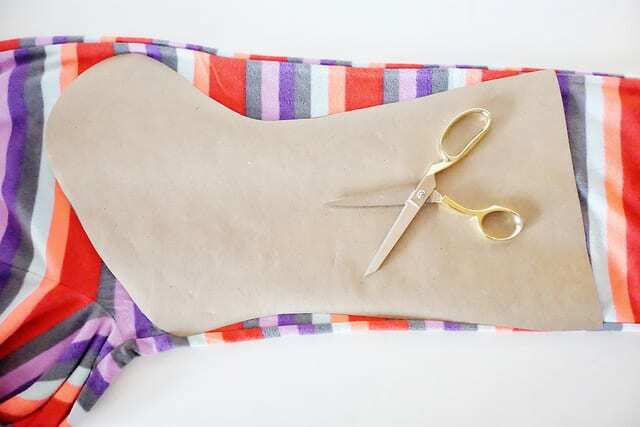 I love turning old things into new, and today I’m sharing how to make a DIY Christmas stocking out of a pair of fleece pants. 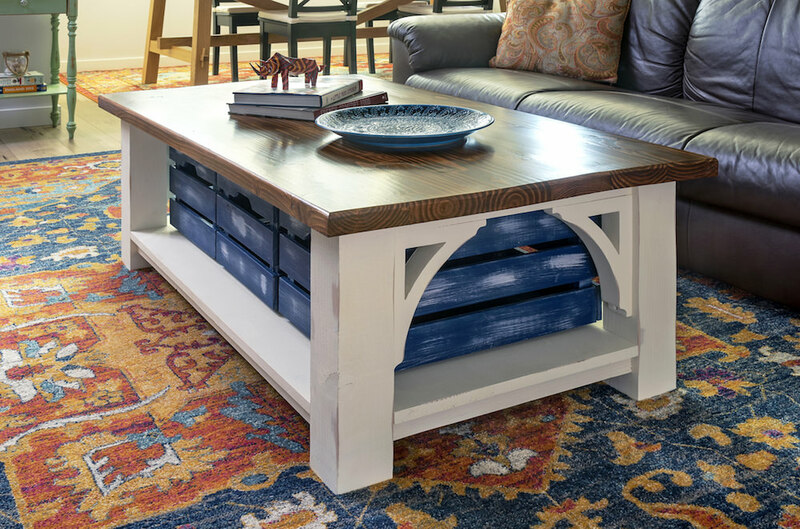 My favorite place for craft materials? The thrift store of course! 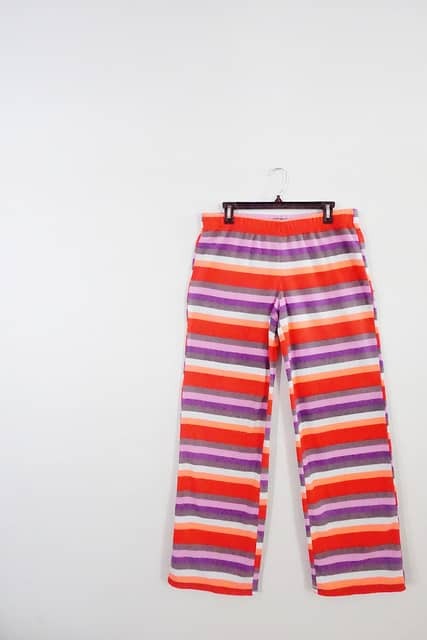 I hit the pajama section and was immediately drawn to these bright striped fleece pants. You can go for a thinner material, but you’d need to add some interfacing to make it strong enough to hold all your goodies. A wide leg pant helps, too. 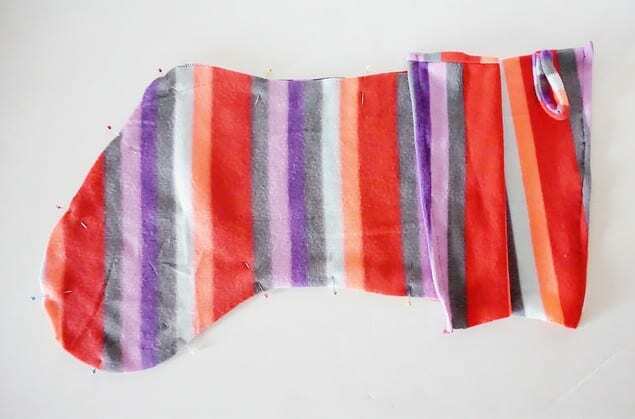 For the stocking pattern, I traced a stocking I already had on hand, making sure to add about an inch around for seams. Cut out two pieces for the front and back. Fold over the top of each piece and stitch to finish. Pin the pieces right sides together, adding in a loop to the seam for hanging the stocking. 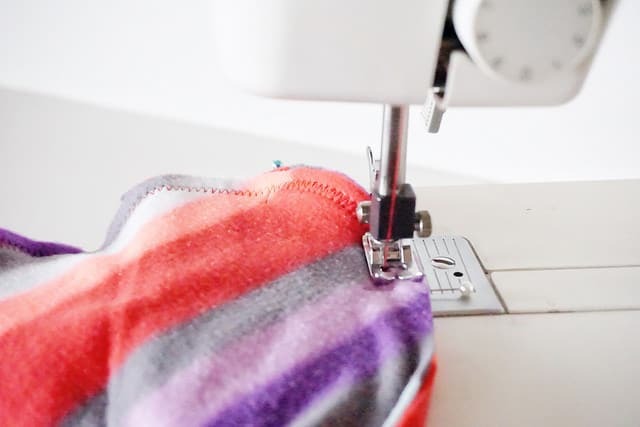 Zigzag stitch around the sides and bottom of your stocking–make sure to leave the top open! Flip your stocking right side out and here you are so far. It’s functional, but let’s add a little fun! 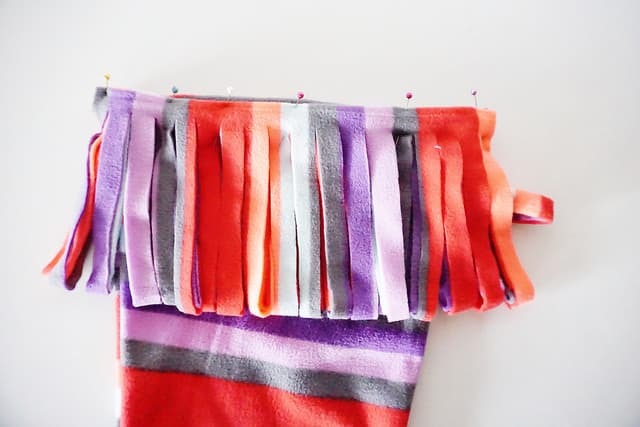 I initially planned to create a yarn and make some pompoms with the other pant leg, but as I began to cut, I fell for the fringe. 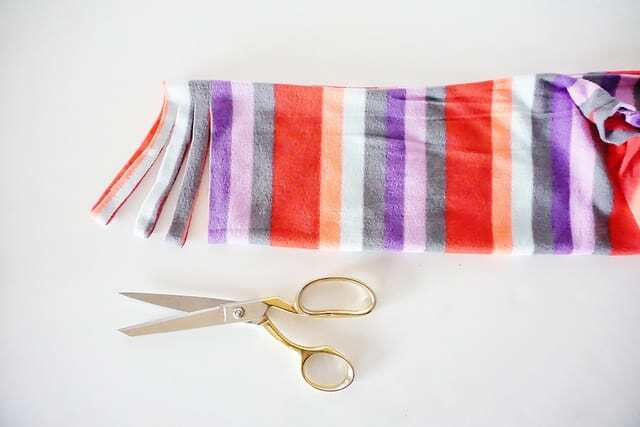 So, to make yours, fold your other pant leg in half, cutting thin strips from the folded edge up to just below the top edge. 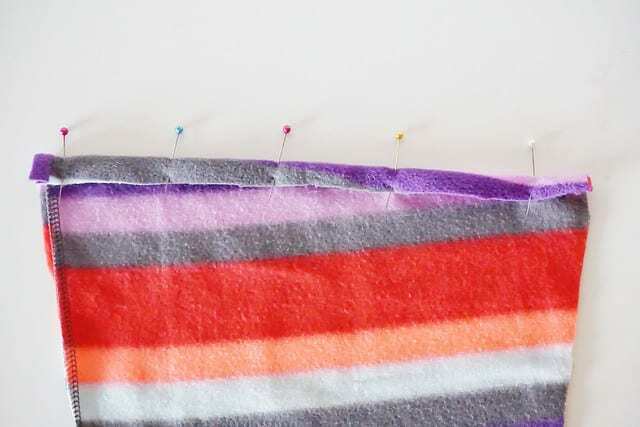 Pin your fringe to the top front of your stocking and sew with a straight stitch. 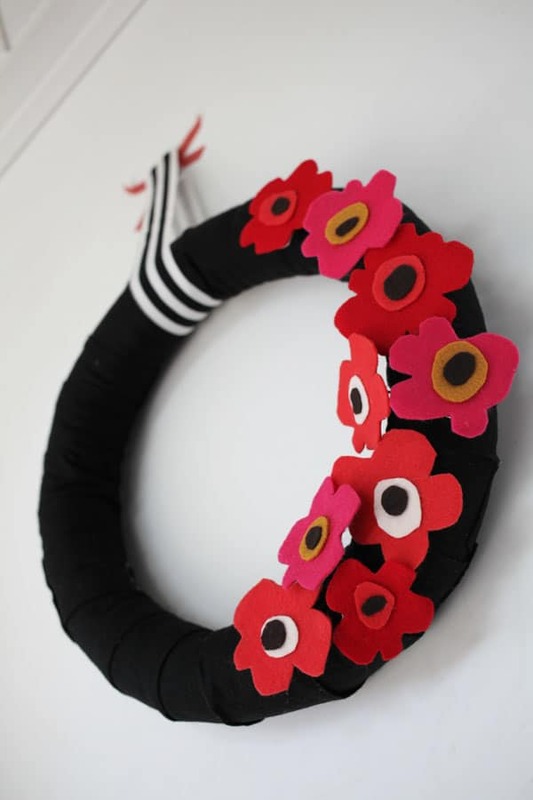 Now you’re ready to hang it up and wait for St. Nick to pay a visit! Find more upcycled how-to’s over at MakerMama.com.